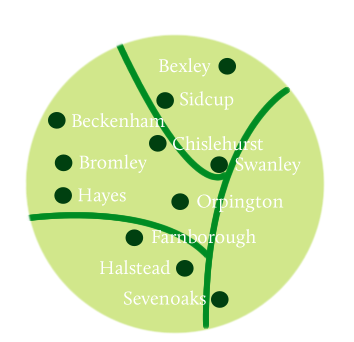 Based in Orpington, our experienced and dedicated fitters and installers work throughout Kent and the outskirts of London, including Bexleyheath, providing homeowners from across the region with the very best bathroom installations, bathroom design services, new central heating systems and new shower installations. Below, you can see some comments from just a few of our satisfied Bexleyheath customers. “I’ve put a cheque in with this letter for your invoice, wanted to say thanks to you too for the job you did on the bathroom, looks really quality and the wife’s proudly showing it off to everyone. “Thank you so much for our new bathroom installation, it’s amazing. The decoration, bathroom suite, tiling, neatness is so good and I was really amazed by the customer service. There’s so many dodgy people about now but your team were all really professional, explained everything, did what they promised and now I‘ve got an amazing new bathroom to relax in.